ACEONDO NCE Admission List: The Adeyemi College of Education (ACEOndo) NCE admission list for 2018/2019 academic session has been released. The provisional admission list into 2018/2019 NCE programmes has been published on the school website. Visit https://aceondo.edu.ng/viewnews.php?view=48. Then, Press ctrl + F, then type in your name or JAMB Registration Number in the search bar that appears. Finally, Press Enter to search for your name. Visit https://aceondo.edu.ng/viewnews.php?view=39. Then, Press ctrl + F, then type in your name or JAMB Registration Number in the search bar that appears. Finally, Press Enter to search for your name. Visit https://aceondo.edu.ng/viewnews.php?view=30. Then, Press ctrl + F, then type in your name or JAMB Registration Number in the search bar that appears. Finally, Press Enter to search for your name. Visit https://aceondo.edu.ng/viewnews.php?view=26. Then, Press ctrl + F, then type in your name or JAMB Registration Number in the search bar that appears. Finally, Press Enter to search for your name. 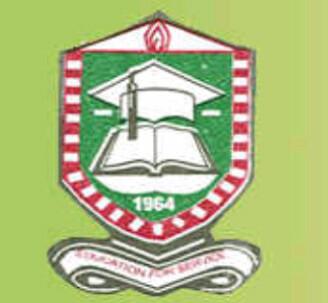 Congratulations to all those who made it to ACEONDO NCE admission list. All the newly admitted candidates are required to make payment of a non-refundable Acceptance fee of Twenty Thousand Naira (₦20,000.00) only. Adeyemi College of Education located in Ondo (the historic town after which the Sunshine state was named, in the Central Senatorial District in Ondo State of Nigeria which is situated between latitudes 5° 45′ and 7° 52’N and Longitudes 4° 20′ and 6° 05’E and is bounded on the east by Edo and Delta states, on the west by Ogun and Osun States, on the north by Ekiti and Kogi States and on the south by the Bight of Benin and the Atlantic Ocean) is one of the foremost institutions in Nigeria.